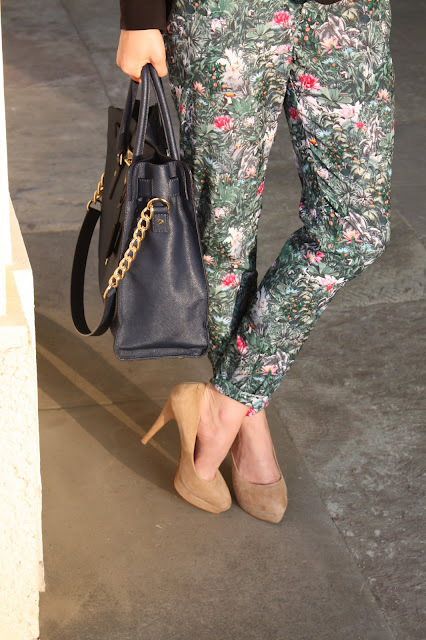 Pants and Leggins with prints are all over the place lately. I have to admit the first time I slipped into those printed jungle-look-alike pants- get here - I felt like people would not give me that certain look because of my just-got-out-of-bed-hairstyle but because of those special pants that might remind some among us of their beloved PJ-Pants back then when we were five years old. We should give those special pants with those special prints a chance though. 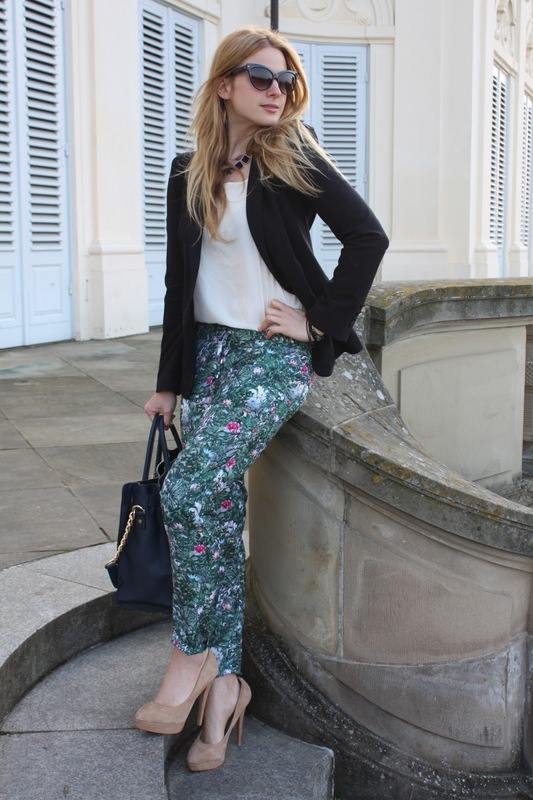 With a plain white shirt, a dark blazer, cat-eye-sunnies - get here - and fancy shoes - get similar ones here - I would say our jungle pants are even suitable for our business outfit so we can shine at the office. Tarzan, thanks for the inspiration. We are more than ready to jungle up our outfits.